The “right” clause depends on many factors – there is no “one size fits all” – so be vigilant and pay attention, and make the right business decision for you and your book. Today’s big take-away lesson is this: pay attention to the grant of rights, and know what rights you’re agreeing to give your publisher. A proper grant of rights lays the foundation for a positive, long-term business relationship between the author and the publisher – and that, of course, is good for everyone. 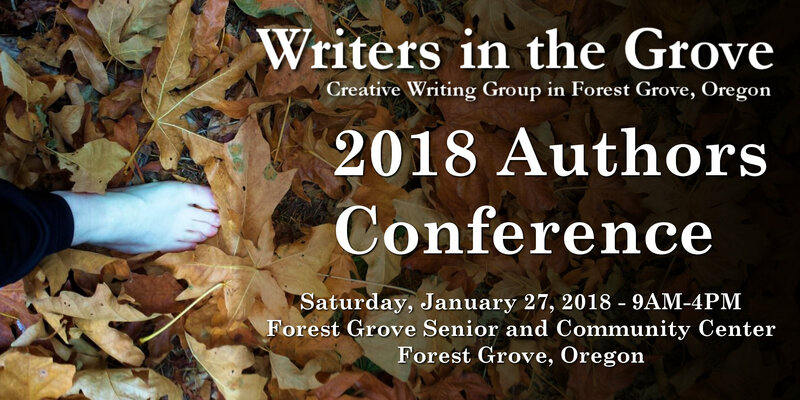 Many of our Writers in the Grove members publish and share their work on our website here, often a first step toward publishing elsewhere such as on other websites, magazines, newspapers, and books. According to many authors and publishing experts, one of the first things a professional writer needs to learn is what their publishing rights are, though it is often the last thing learned, usually after much confusion and frustration. Writing is an art form, and professional writing is a business. There are business standards and practices. There are contracts, agreements, guidelines, and policies. You need to be professional in your writing and writing submissions. Among all the things you need to learn before sending your work out into the world, you need to begin with understanding your publishing rights, the rights that determine who owns your work, how, where, and when it may be published, and how these rights influence your income from your written words. To begin, let’s address the first two rights for writers, two that come with some confusion: the difference between copyright and trademark. When someone abuses your copyright or trademark, it is legally called a violation of your intellectual property. Both are intellectual property rights you will deal with constantly in your professional writing career. Trademark protects brands and brand names. As a writer, you could choose to register your brand and author name, or the title of a book series, not the book title itself, as a trademark, protecting it from abuse and misuse, but that is a discussion for your legal professionals as you step through your career. J.K. Rowling has long history of legal battles to protect Harry Potter and its entertainment empire. Some of those legal actions were over the trademark name of “Harry Potter,” “muggles,” and “Hogwarts,” including use of the name in fansite website addresses. Apple, Coca Cola, and many businesses protect their trademark name and brand by preventing trademark violations such as these. You are not allowed to use those names in your domain name or within your creative work unless it complies with their trademark rules and guidelines, or you receive legal permission, commonly called a license. Copyright is similar but provides for a different protection. It protects the artistic rights of the copyright holder, the person(s) that created the work originally, or purchased the rights of ownership. The copyright owner has a limited time (typically the author’s life + 50-100 years depending on the country and jurisdiction) to choose how to use, sell, and share their work publicly. As intellectual property, it has some similarity to personal property in that it cannot be used by someone without permission, permission given in writing not just verbal. Such copyright permission is also known as a license as in licensing the work for publication or publishing or publication license. Once the object is “fixed,” it is copyrighted and covered under national and international copyright laws. Once the work is in a fixed form (published, printed, digital file, etc. ), it is copyrighted. You do not have to put a copyright symbol on the work. You do not have to register the work, though it is highly advised to do so if copyright infringement issue becomes serious legal action. When publishing your work, you give the publisher permission and license to use the work per the agreed-upon publishing rights, generally a license type that specifies when, where, how, how long, and other limitations. There are many types of copyright licenses, and it is up to the copyright holder to designate the specific license of an individual work on the work. See Creative Commons for more information and examples. For example, if you choose to publish your work on this site, our publishing policy states you do so freely, without compensation, and that the copyright of your work remains with you, the copyright owner. The site owner(s) do not own the copyright of your work. You do. You just gave us the publishing right to publish your work here on this site, not in another form or format. You can choose to copyright your work within the limited author copyright time period, or designate your written work as public domain, giving away all rights to control the publishing of the work and giving it to the world for free. It is your intellectual property, and your decision on how to control access and publication of it. Abuse of your copyright is formally called a copyright violation. The informal term on the web is content theft. The key part of the definition for the purposes of this article is the right given to print, publish, etc., with authorization of the copyright holder. This is where copyright meets publication rights. If copyright law didn’t exist, we wouldn’t have publishing rights to sell, and a lot of work went into securing copyright as a right for authors. As a result, we can turn our work into audio books, maybe have a movie made, reprint rights, even reprographic rights. You know, people who photocopy your work are supposed to pay you a fee. So there are just loads and loads of different rights. And essentially, the function of rights in publishing is to extend your readership. You know, why would you bother with publishing rights? To extend your readership, and to add to your bottom line. Publishing rights exist to protect the artist’s work for income generation as well as for restricting or opening exposure of the work to a larger audience. As the copyright holder, you have the right to permit publishing of your material where, when, and how you wish, but it isn’t that simple. The places where you choose to publish have their own rights. You may either accept their publishing rights package, negotiate to change them, or publish your work elsewhere. I’ve broken up the various publication rights into two groups: First-time Rights and Reprint Rights. First-time rights are publishing rights with a sense of exclusivity. The work was not published elsewhere or had restricted publishing coverage. Reprint rights cover the publishing rights for distributing your work after the first time it’s been published, a common way to allow your work to continue to make money over time. Exclusivity: Any exclusivity in a publication right limits the usage of the work in some form, be it geographic, time, language, or form or format. Some exclusivity may restrict the use of your work elsewhere, or take away rights you didn’t even know you had to protect. Geography: Known as the geographic reach, this right restricts the publication to a specific geographic area, which may include worldwide, limiting future licensing of your work to a specific country or region by a different publisher. Language: Similar to geography, this limits the publication of your work to a specific language, English, French, Hebrew, Russian, whatever. If the license is given to be “worldwide” or “global,” it may include all languages as well. Formats and Forms: The format or form of your work could be digital, hard cover, paperback, audio, movie, television, stage, games, merchandise, or a form not yet invented. Take care that some format and form publishing rights are generalized, non-specific, sweeping, or the publisher may not have the ability to pursue that form. The following is just a general list. Always read through an agreement or contract thoroughly, and have it checked by your legal representative, to ensure your rights, whichever you choose, are protected. All Rights: This is one of the most risky of all rights. It means just that – all, everything, the whole pie. When you hand over all rights to your work, you give up all say over the work, and sometimes income, in where, how, when, and the outlet your work is published. If you give up your rights to the work, you will never own it or control it again without an expensive legal battle, and few win once they’ve handed over the keys. First Print Rights: The publisher is the first to publish your work. The geographic coverage is international with no restrictions. First North American Rights (FNAR): Narrower than First Print Rights, this right restricts the first-time publishing to the North American continent and does not restrict the author from publishing, say, in Europe or Russia. There are other geographic First Rights for every country and geographic commercial union, often referred to collectively as International Rights. First Language Rights: Often called by their language such as First English-language Rights or First Hebrew-language Rights, these are rights exclusive to a translation of the work. Some publishing package includes both First Rights and Language Rights in combination. World Periodic Rights: Related to language rights, the publisher has permission to publish the work worldwide, irrespective of language. Note that this right may be designated as exclusive or encompassing all types of publishing media outlets, so take care to read the fine print as not to limit your publishing rights. Exclusive Rights: A publisher’s agreement may ask for the right to publish your work exclusively for a set period of time, ensuring it is not published elsewhere at the same time time. First Electronic Rights: Like geographic and language rights, this right permits publishing the work for the first time electronically. Be careful with vague Electronic Rights. Many authors couldn’t see the future of technology and lost digital rights to ebook versions of their work when they handed over or restricted Electronic Rights to their work to publishers. Type Rights: There are many rights that are exclusive to the type of publication such as Anthology Rights, Archival Rights, Web Rights, Digital Rights, etc. The right will limit the publication of the work to that media type only, and often for a specific time period, but not always. Subsidiary Rights: A form of right to a type of media, Subsidiary Rights gives permission (and control) to a publisher to publish your work in other formats beside a hardcover or paperback book. An all-encompassing right, it may give permission for the publisher to use the work for film, video, audio, foreign language formats, screenplays, stage plays, anthologies, and may even assume all other rights, disguised with a different term. First Serial Rights: Similar to First Rights, these are rights to a specific type of media such as the first time published in a newspaper, or magazine, or anthology, or other outlets. The acronym FNASR stands for First North American Serial Rights, and is common with many publications. On the web and in print you will often see the term All Rights Reserved. This is an international form of copyright indicating the copyright holder “reserves, or holds for their own use, all rights provided by copyright law.” It is not a license for use but a statement of copyright. It came from the 1910 Buenos Aires Convention on copyrights and currently has no legal effect on jurisdiction, but continues to be used as a copyright warning. It has been replaced by the copyright symbol as the formal copyright declaration, as set by the Berne Convention and the Universal Copyright Convention (UCC). Reprint rights are rights that permit the written work to be reused, often after the expiration or termination of the various first-time rights. Remember, many published works can be republished, some for many years, continuing to earn money for the author. Reprint Rights: The right to reuse your work, even if it has been previously published. There are many variations on this right, so check the fine print to ensure you are not handing over all exclusive reprint rights. You want and need the right to keep offering your work for reuse if you choose. Second Rights: Much like other serial style rights, Second Rights give permission to be the second outlet for publishing. Many publications will publish an article stating it was originally published elsewhere. One-time Rights: This is permission to allow your work to be published by a company or publication only once. They cannot reprint the work without more permissions. You may sell the same work with One-time Rights to multiple outlets at the same time. Excerpt Rights: This right gives permission for a publisher to publish just a section or segment of your work, not the whole work, regardless of previous publishing rights, unless they specify exclusivity to the work. This is common in many magazines. Simultaneous Rights: Some publishers will allow the work to be published at the same time across multiple outlets and publications. This is most commonly found in syndication rights, the right to publish a column or cartoon across multiple newspapers. Syndication Rights: These are contractual rights to permit the distribution of the work across multiple outlets and publications such as a column or cartoon. It is usually accompanied by a notice that this is a syndicated work. Master Rights: This is a right long exclusive to recordings, audio and film, often known as Recording Rights. With the popularity of audio books, some writers are seeing Master or Recording Rights appear in contracts. This right gives permission for the recording of the work, not the work itself, thus giving license for the sale and use of the recording. There are many other rights, publishing and use rights, beyond the scope of this article. However, here are a few worth considering as they may come up when working with others or companies to produce written material, or be included in fiction writing agreements and contracts. Work-for-Hire: If you have been hired by a person or company to produce the written work, once it is delivered to the client, you no longer have any rights to the work. You were hired to do the work, it’s done, you no longer have any say or rights. You may also no longer receive credit for the work. This is commonly found in magazine and commercial writing, and sometimes in ghost writing, though some rights may be protected by contract as a co-author or “as-told-to” credit. Movie Rights: The right for a movie studio to make a movie of the work. This does not mean they will, and there are many other rights wrapped into this right, including the studio or producers’ rights to change the work for film, but start here to learn about the rights involved in converting written art to film. Television Rights: Similar to Movie Rights, this is another complicated right, the right to use your writing on television as a made-for-TV movie, series, or episodic television show. Theater Rights: Much like television and movies, this gives permission for use of the work on the stage. Merchandising Rights: Rowling learned and earned plenty with Merchandising Rights for wands, dolls, capes, candy, and more. Your characters and their world could turn into a brand as well as stuff. This article is just a summary of the most common publishing rights. As a writer desiring to publish your work, it is important to understand all the different ways your writing may be used, and how to protect the rights to those uses so you can expand your audience as well as increase your income. The following are articles on publishing rights to help you learn more about how this all works, especially how to protect your rights.